The ability to work with, and retrieve images, is vital to forensic and criminal case work. During a five-decade-long career, author John C. Russ has taught methods for image processing and measurement to thousands of students. Forensic Uses of Digital Imaging, Second Edition distills his classroom and workshop material to present the information most relevant to forensic science. 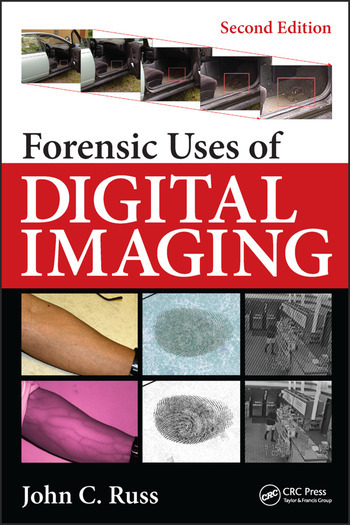 Forensic Uses of Digital Imaging, Second Edition explains concepts with minimal jargon, and the methods and tools described in this book can be implemented in a broad spectrum of available computer programs. By demonstrating how these methods can be applied to a variety of images, this book helps readers develop the ability to understand when and how specific techniques should be used. It will be of particular use in casework for practicing photography and imaging police and forensic professionals who need to verify and explain both interpretations and processes to legal professionals, judges, and juries. John C. Russ is emeritus professor in the Department of Materials Science and Technology, College of Engineering, North Carolina State University, Raleigh. Much of his research during his 50-year career has been concerned with the microstructure and surface topography of metals and ceramics. He currently consults with a variety of companies, provides expert testimony in criminal and civil cases, teaches workshops worldwide on image processing and analysis, and reviews publications and funding proposals. He is active in a number of professional societies, and has presented frequent invited lectures and workshops for them. He has also received the Ernst Abbe Memorial Award from the New York Microscopical Society for his contributions to the field of microscopy as a developer of computer-assisted microscopy and image analysis.